In this DigWP article, we dig into each of these new navigational tags and check out some examples and techniques to enhance your theme-building skills. Incredibly, WordPress currently provides 18 nav functions that developers can use to enable post and page navigation. This gives us great flexibility, but the functions are very similar in both naming convention and functionality, and so the myriad choices can be confusing. This post aims to put things into perspective so you can choose the right tool for the job. As with the original set of post-navigation functions, this latest set uses a symmetrical naming convention. Here is a quick overview to put all of the WordPress nav tags into perspective1. 1 Note: all of these tags continue work great with WordPress. The "older" and "newer" distinction is to help differentiate the newer nav functions. For complete coverage of the older post-nav functions, check out The Definitive Guide to WordPress Post Navigation. Also check out Optimizing WordPress Post Navigation for even more post-nav action. Now let's dig into the new functions.. This set of tags can be used to return and display navigation links for next and previous posts, when applicable. Specifically either of these tags may be used when displaying single posts, in order to enable the user to navigate to the next single post or previous single post. In this example, we display a set of nav links that have customized anchor text and are limited to posts in the same category, excluding categories 1, 2, and 3. This set of tags can be used to return and display navigation links for next and previous sets of posts, when applicable. Specifically either of these tags may be used to enable the user to navigate between sets of posts, such as those displayed on the home page, front page, archive views, category views, tag views, etc. In this example, we display a set of nav links that have customized anchor text for both previous and next posts. This set of tags can be used to return and display a set of paginated navigation links for next and previous sets of posts, when applicable. Specifically either of these tags may be used to enable the user to navigate between sets of posts, such as those displayed on the home page, front page, archive views, category views, tag views, etc. In this example, we display a set of pagination links that have a customized link format for permalinks, and also customize the anchor text for both the previous and next post links. You can see this particular configuration implemented at my found-images site, eChunks.com. 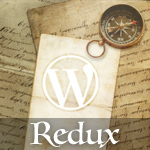 Visit WordPress.org to learn more about the various navigation functions covered in this article.